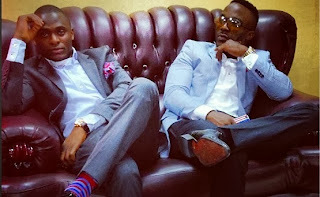 Press statement from Iyanya's Made Men Music Group below.. In the past few hours Nigerian entertainer, Iyanya Mbuk along with his manager Ubi Franklin have been the victims of hacking. deceiving fans and followers for personal gain, and have maliciously changed Ubi Franklin's Twitter handle. interact with Iyanya via his official Instagram account (@Iyanya). Iyanya apologises for any inconvenience caused and urges fans to ignore any requests that the hackers might make.